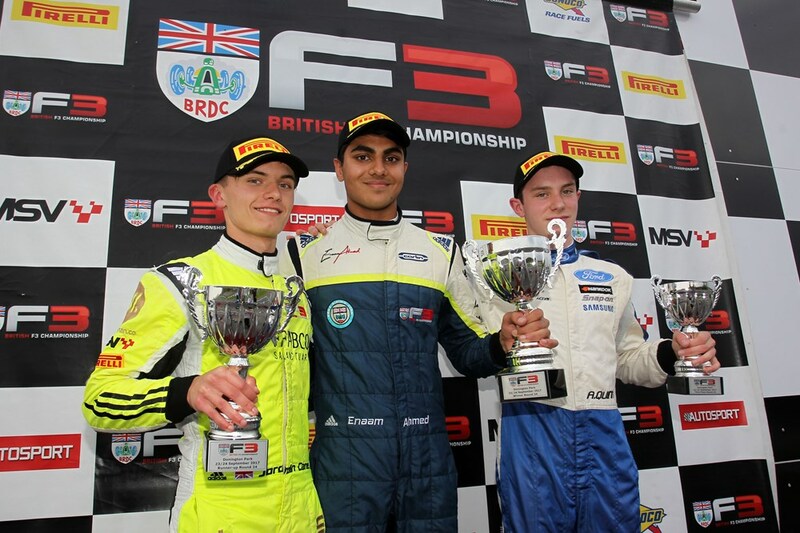 The 2018 BRDC British F3 Championship came to an end at Donington Park today. After race 1 on Saturday where Jordan Cane finished in 5th and Callan O’Keeffe in 7th, the partially reversed grid in race 2 meant O’Keeffe and Cane would start in 2nd place and 4th place respectively. 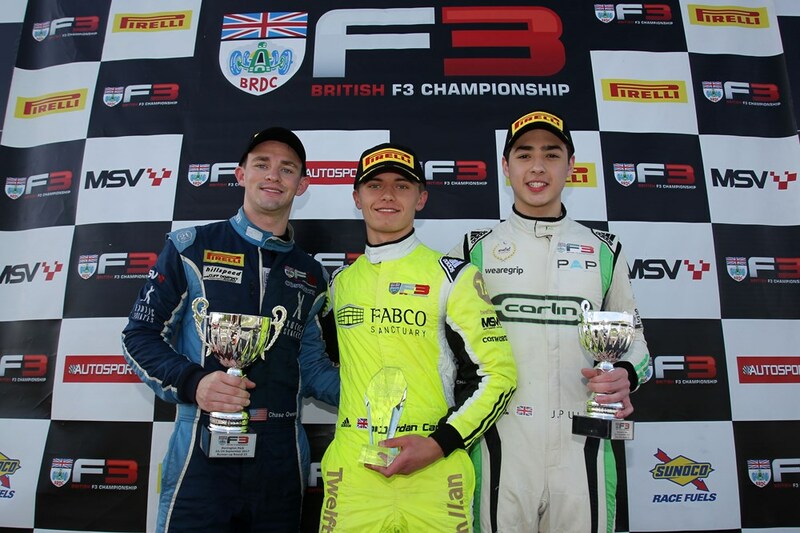 It was Jordan Cane who was take advantage of the reverse grid. Thanks to his quick start, Cane made up one place and remained in 3rd place for most of the race. Callan O’Keeffe put the pressure on the first place driver, Kjaergard, from the start. Kjaergard defended his position throughout the race, causing the top 5 cars to bunch up. O’Keeffe had a lot more pace and made several attempts to pass, but it was on the final lap that he made a move that didn’t quite come off, instead, the front two came together which put an end to both their races. 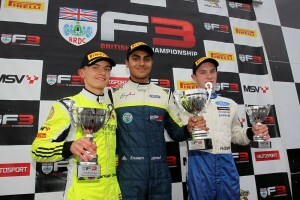 As a result, Jordan Cane took the lead, he held on for the last lap to take the chequered flag, his 3rd win of his F3 career. “I feel sorry for Callan because you never like to see your team mate in that position and he had a lot more pace than the guy in front of him. They made contact and then it was just getting through the first corner and keeping my nose clean and managed to drive it home and take win number three of the season. The incident in race 2 meant Callan O’Keeffe was to start last on the grid, effectively ending his chance at finishing the season on a high. Cane on the other hand began in 4th position, made his way up to 2nd position where he put pressure on the leader of the race and Champion Enaam Ahmed, finishing the race only .773 seconds behind Enaam. “In all honesty I though we were going to be P1 at the end of the first corner as the Carlin boys almost came together and had a big squabble and I was saying in my head ‘please get together’ but regardless we had good pace, the speed of the car was amazing and we were matching Enaam to the thousandth of a second on the laps. “This weekend has been a real turning point for us, in fact the last couple of weekends have been a big turning point. It just shows what we can do, it shows you don’t need to be in a Carlin car to win. A weekend of mixed fortunes for the Douglas drivers, but it was clear that the cars had the pace to compete. Congratulations once again to former Douglas Motorsport driver Enaam Ahmed on his Championship win, and a big well done to the entire Douglas Motorsport team.